Hello, I am Reverend Tom Capo. 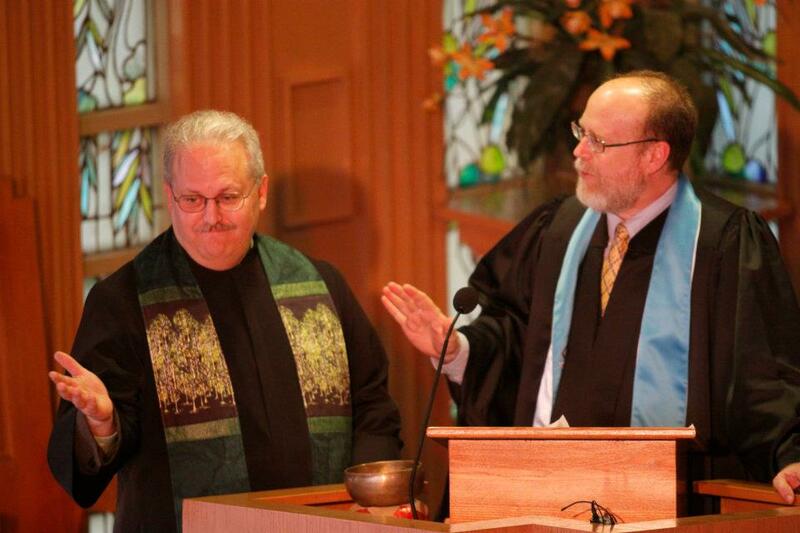 My passion for parish ministry has led me to serve various congregations in the Unitarian Universalist Association for the past 15 years. 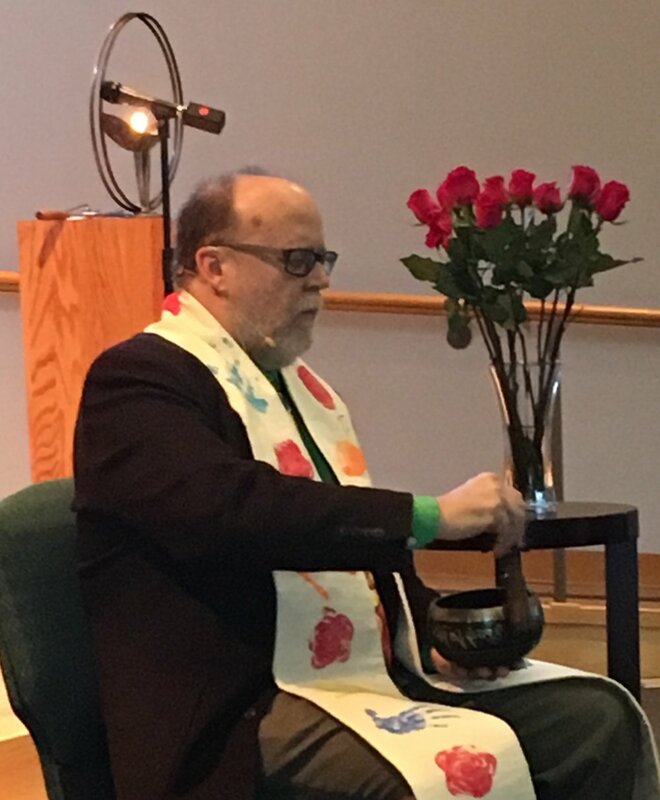 When called to a Unitarian Universalist church my first priority is building authentic relationships with the people of the congregation, then learning from them what they need from their minister. I attend church functions to develop these connections and to model healthy, compassionate relationships. I also like to laugh and have fun with congregants whether we are fundraising, feeding the homeless, or worshiping. I believe that community-building is one of the most crucial roles of a called minister. I meet monthly with a Spiritual Director who encourages and supports me in my own ever-expanding quest for truth and meaning. I’ve also received training and am certified to create Spiritual Direction groups in the congregations I serve. The act of co-creating meaningful worship services with congregants who are inspired by shared ministry gives me deep satisfaction. Like most Unitarian Universalists, I seek to become the most effective change agent I can be. To that end I am in regular contact with a preaching coach who assists me in assessing and creating services that engage and inspire. I’m not complacent about my skill sets, therefore continuing education is a vital component of the level of professionalism I bring to my ministry. I have an unquenchable thirst for Social Justice work and eagerly seek out connections in any community in which I find myself. I literally walk my talk, speaking at rallies, marching in solidarity, and holding vigils for the wider community. I take the charge of prophetic witness very seriously, and educate myself about the injustices that exist in the community and in the world. Part of my ministry is to walk beside those who need my presence and my voice as we work for justice. My experiences have taught me that interfaith engagement is essential for effective community change. To that end, I work hand-in-hand with leaders from a broad faith spectrum, building bridges that unite us in service to the community. They’re not just my professional colleagues; they become my friends. I step up when they are harassed, threatened, or harmed in any way. Over the years I have developed several close friendships in interfaith communities across the country, and as a result my own spiritual growth has grown richer. My approach to ministry is collaborative. I serve as a resource to the congregation as they discern their goals and determine how to achieve those goals. With my help, the Unitarian Universalist Church of Huntsville (Texas) moved from meeting in hospital chapel to buying property and building a church. With my guidance, Peoples Church Unitarian Universalist moved out of an uninsurable 150-year old building into a new building in the suburbs of Cedar Rapids (Iowa). I was instrumental in the development of a Social Justice Committee at DuPage Unitarian Universalist Church in Naperville (Illinois). We co-created a church-wide social justice initiative and crafted a signature project—a summer mentoring program for youth of color in the community. All of these were nascent dreams the church communities had envisioned, but were struggling to actualize. As their minister, I supported and guided these congregations as they each fulfilled their goals and realized their dreams, and I hope to do the same for any congregation I serve.